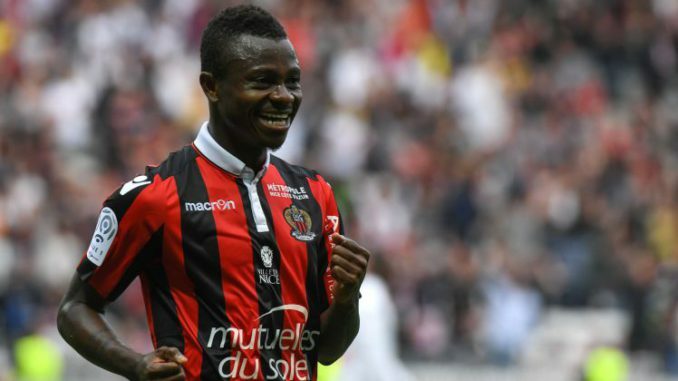 Manchester United have identified OGC Nice midfielder Jean Michael Seri as a potential solution to their problems in the engine room, but they’ve been met with two hurdles to overcome before they can land his signature, reports The Sun. Liverpool and Arsenal are currently standing in the way of United completing any deal for Seri, with the two Premier League clubs desperate to add him to their ranks. The 26-year-old rose to prominence last season after scoring and creating 16 goals in 34 Ligue 1 games. His box-to-box abilities and creativity saw him linked with a move to Barcelona before a deal broke down. His skill set would make him a good player in any side which is why United are so keen to sign him. The Ivorian international has an affordable £35m release clause, but the stiff competition in his services might be the biggest problem. Liverpool and Arsenal have been keen on Seri for some time and won’t have a problem meeting the asking price. United have a more pressing need for a midfielder, however, with Michael Carrick retiring and Marouane Fellaini being out of contract in three months. Ander Herrera being linked with a move to Italy and Paul Pogba named as a target for Real Madrid doesn’t help either, so United will have to work hard to convince Seri to pick Old Trafford over the Emirates and Anfield.